Pick a date and time with doodle! Via majority rule, the next HC Event Reread will be TOMORROW NIGHT at 5PM CST! Not caught up? Remember, you can reread any HC Event in the series whenever you like, and send me a PM to claim the stamp! ADDITIONALLY, you don't necessarily have to reread all prior HC RP events to understand what is going on in this one! There's a recap in the first post of each HCRP that will catch you up! Can I read through all of the old ones and get stamps if I pass the quiz or is there a time limit? No time limit~ Just send me a PM when you're done asking for the quiz! Cool thanks! I look forward to reading. My first HC event. :') Will definitely try to attend. Not caught up? 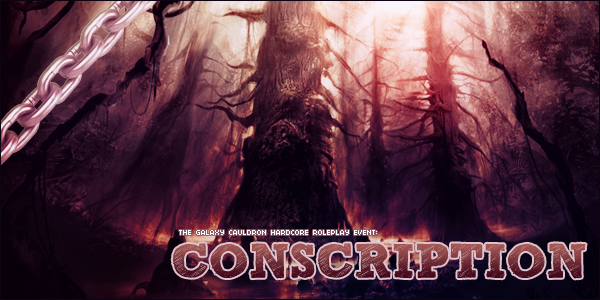 Read through Conscription or allow us to summarize for you at the beginning of this read through event!